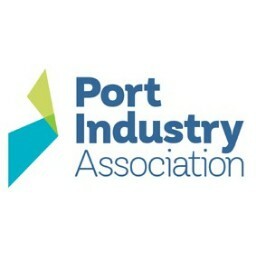 The Port Industry Association, in partnership with Port Nelson, is pleased to present the 40th Anniversary, Port Industry Association Conference 2018. The theme for this special anniversary edition of the conference is workforce development, innovation and technology. The conference will offer a range of activities and presentations spread across two days from August 15th and 16th. The cost for attending the event is $200+GST, to avoid additional fees, you will invoiced after registration. Day one includes a number of regional visits to key players in the Nelson - Tasman regional economy followed by a gala dinner to celebrate this siginificant milestone in the Association's history. Day two hosted at the Trafalgar Centre offers a programme of International and National influencers and specialists speaking about Wellbeing, Safety, Innovation and Fatigue as well as a series of interactive workshop sessions. More information is available on the event website and application. This year we are embracing technology and will be using the Whove event app that will allow a more efficient, convenient and interactive conference experience from your very own mobile device. Please click here from your mobile device to download the app from your app store.